In basic terms, fuel poverty is when you can’t afford to heat your home properly. The Government has defined fuel poverty as when a household needs to spend more than 10% of its income in order to achieve reasonable levels of warmth. This is taken to be 22º centigrade in the main living areas of a home and 18º centigrade in other occupied areas. 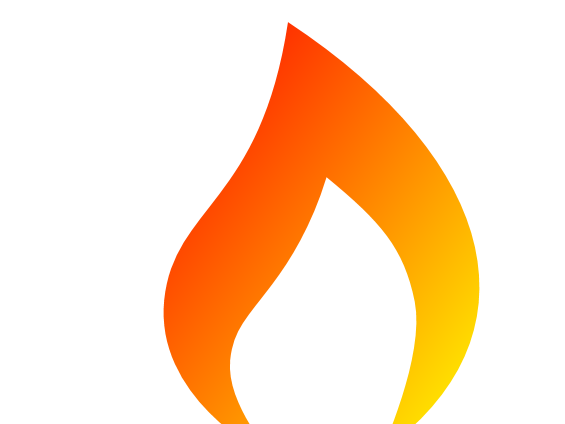 How is Fuel Poverty Defined? Fuel poverty is said to exist when a household has to spend more than 10% of its income in order to achieve reasonable levels of warmth in the home. In this instance, the Government describes adequate warmth as a temperature of around 22º centigrade in the main living areas of a home and 18º centigrade in all of the other occupied areas. The main factors which contribute to fuel poverty are low household income, energy efficiency of the heating system, poor insulation in the home and the cost of fuel. In calculating whether a household is suffering from fuel poverty, spending on lighting, appliances, cooking and heating water are included in the overall cost of fuel. 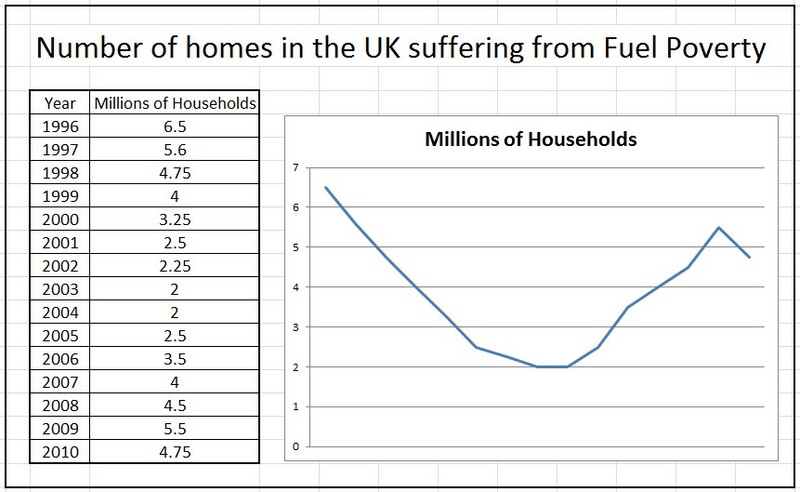 How many homes in the UK suffer from Fuel Poverty? In 2010, the number households in the UK which suffered from fuel poverty was estimated at around 4.75 million. This represents approximately 19 per cent of all UK households. The reduction in fuel poverty which occurred between 1996 and 2004 was due largely to a combination of rising household incomes and falling domestic energy prices. The installation of energy efficient home improvements such as double glazing, ‘A’ rated condensing boilers and cavity wall insulation also helped to cut energy consumption in homes and therefore reduce energy bills. However, between 2004 and 2009, domestic energy prices increased rapidly. For example, domestic electricity prices rose by over 75 per cent and gas prices by over 122 per cent in the six year period. These energy price increases resulted in a growth in the number of UK households suffering from fuel poverty. The overall effect of price rises for domestic energy since 2004 has more than outweighed the effect of rising incomes and improved energy efficiency. This was reversed slightly in 2010 when increases in incomes and improvements in energy efficiency combined to outweigh the effects of energy price rises in 2009. Northern Ireland has the greatest proportion of households suffering from fuel poverty in the UK, followed by Scotland, Wales and then England. This is mainly due to a higher percentage of households who do not have a gas supply and have to use more expensive fuels to heat their homes. It is also due to lower incomes in Northern Ireland than the other UK Nations. What can we do to reduce Fuel Poverty in the UK? • Increasing household income so that fuel costs as a percentage of income falls below 10%. Unfortunately, reducing income has the opposite effect and in the recent recession many UK households have suffered a drop in real income which has pushed some into fuel poverty. • Reducing fuel prices. However, it seems that fuel prices are rising at a faster rate now than they ever have done. • Carrying out improvements to the energy efficiency of the home so that less energy is required to achieve reasonable levels of warmth and less energy is lost due to poor insulation. The Affordable Warmth Scheme offers Boiler Grants, Storage Heater Grants, Cavity Wall Insulation Grants and Loft Insulation Grants to low-income households to help reduce fuel poverty.